The Homeschool Buyers Co-op is pleased to present an exclusive GroupBuy discount for Ginger Software - a Writing Solution Software from Ginger Software, Inc. This high-tech program is a writing solutions software program designed to assist users at home, school, or office. We are delighted to have Ginger return to the Co-op to extend this GroupBuy savings. PLUS! 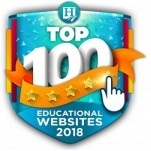 This software is a 1-year subscription for up to three computers in the homeschool classroom! With Ginger on your homeschool classroom computer, your child will be able to prepare written assignments independently and confidently. Ginger is an intelligent, contextual spell checker and grammar checker that enables users to write texts that are error-free. Don't be misled into thinking that this software is your typical "spellchecker" feature on your MS Word program -- this program is much more sophisticated than standard Word features! It doesn't just recognize misspelled words, it recognizes the INCORRECT USAGE OF GRAMMAR SKILLS, too! 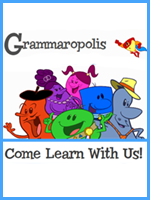 Ginger will catch and correct your child's SPELLING AND GRAMMAR mistakes. Your child will gain proficiency in his spelling and writing skills, which will ultimately allow him to be more successful in all his studies. Ginger recognizes words in context and provides the most appropriate corrections for SPELLING AND GRAMMAR mistakes according to the intended meaning of your sentence. Ginger can tell when a correctly spelled word is misused and replaces it with the right word. Ginger can also recognize when a sentence is written incorrectly and provides the correction immediately for real-time guidance for the student's work! Ginger also tracks the errors users make. Ginger PREMIUM provides Frequent Error Reports that provide information on the amounts and types of errors students are making. Instructors may use these useful reports to identify students' needs, track their progress, and personalize instruction for the student. CLICK HERE for a Ginger screenshot MS Word document sample. CLICK HERE for a Ginger screenshot .pdf document sample. Fulfillment: Within minutes of order placement, the Co-op will forward your order to Ginger Software for processing. Ginger Software will process your order within 3 business days. The Co-op will send your software download information once your order has been processed. If you do not receive your email, please check your spam or junk folder. Shipping: Shipping is non-applicable. This is an online download delivered software program. THERE ARE NO PACKAGES TO SHIP VIA POSTAL MAIL. 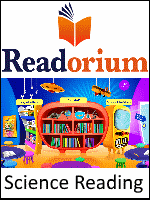 You will be provided download instructions/access information via your MY SUBSCRIPTION page in your Co-op account. Returns/Cancellations: As this is a special group purchase, you cannot back out once you place your order. 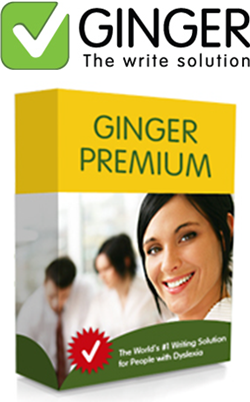 Being that there is a 7-day free trial available for product review of Ginger Premium, there are no returns available for this group buy. Please note that this product is not MAC compatible! Minimum Computer Requirements for Ginger Software: Microsoft Windows XP SP2 or higher, Vista, or Windows 7. An Internet connection. Supported applications: Ginger currently works with Microsoft Word, Outlook, Powerpoint, in Office 2003, 2007 and 2010, as well as with Internet Explorer and Firefox. Ginger’s future versions will support writing in many more applications (included in free product updates). Ginger Software is not MAC compatible at this time. Ginger Premium is a virtual English tutor that checks and corrects your spelling and grammar automatically. The Ginger Premium is the premier version of the software. It includes the contextual spelling and grammar checker of the core product, along with a text-to-speech reader that reads your texts aloud before and after Ginger corrections. It also includes an error statistics reporting tool. 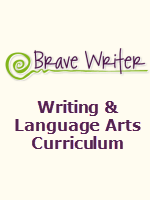 Ginger Premium will take your writing to even higher levels at home, school or work. This is a 1-year subscription for a single homeschool family for up to 3 computers in the same household family. This is an online download delivered software program. Note: This product is not MAC compatible!